And that venomous weapon varies from place to place, evolutionarily calibrated to overpower the local squirrels’ defenses, according to new research from The Ohio State University. The discovery helps scientists better understand how these natural enemies have co-evolved. 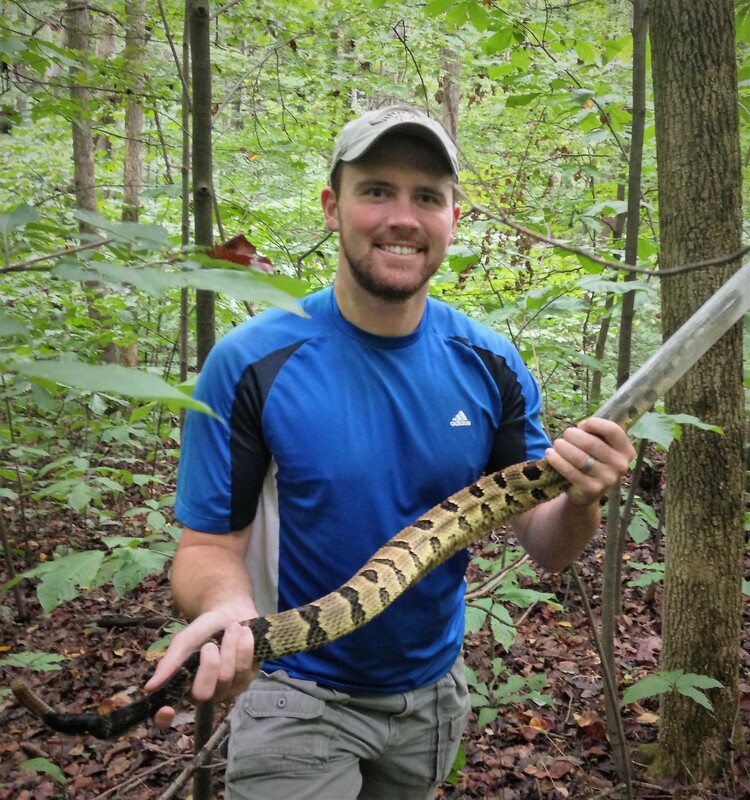 And it could open the door to better recipes for the anti-venom used to rescue hikers and others who find themselves on the wrong end of a rattlesnake encounter, said lead researcher Matthew Holding, a graduate student in evolution, ecology and organismal biology. The research team took venom and blood samples from northern Pacific rattlesnakes (Crotalus oreganus) and California ground squirrels (Otospermophilus beecheyi) found in 12 spots in California. Then they staged laboratory battles in petri dishes, pitting each rattlesnake’s venom against resistance factors in the blood serum of 12 squirrels – one from its home turf and one from each of the other locations. After 30 minutes of commingling venom protein and serum from the squirrels, they compared venom activity to baseline activity before the exposure. Less venom activity at the end meant a better chance the squirrel would survive an attack. The researchers found wide variation – three-fold differences in venom activity and resistance across the populations. Overall, rattlers were best suited to killing their squirrel neighbors rather than the squirrels that live elsewhere, even in nearby communities. “It’s like resistance is a lock and venom is the key and I have to have the right key to open my office and another one to open the office next door,” Holding said. Though both snakes and squirrels have developed traits specific to their nearby counterparts, the rattlesnakes were the evolutionary victor in the majority of cases. In eight of the 12 areas, the snakes outdid their neighbor squirrels in the lab battles. And that’s surprising, Holding said. One popular theory argues that prey animals are expected to mount a stronger response. Why? If they don’t, they’re dead. A losing snake just misses a single opportunity for breakfast. It remains unclear why the rattlesnakes have the advantage, Holding said. He also noted that the study leaves scientists with food for thought on the role of elevation: Squirrel resistance decreased and venom activity increased in areas with higher elevation. Though other forces could contribute, the geographical patterns in venom and resistance support the idea that the animals have co-evolved, the scientists concluded. Their study appears in the journal Proceedings of the Royal Society B. The idea that a predator and its prey evolve in tandem is not new. It happens on land and in the sea, in plants and the bugs that eat them. This study illustrates that co-evolution isn’t as simple as an across-the-board arms race in which the more powerful beast always wins. Rather, the animals in this study appear to adapt their molecular arsenals on a localized as-needed basis. And that means that there isn’t a universally potent venom that works equally well on all squirrels. It’s what’s in the venom and how it interacts with that particular ground squirrel’s defenses that matters. “It opens up a lot of new questions about how, at the molecular level, this key and lock analogy works for squirrels,” Holding said. Holding said it is possible the manufacturers of anti-venom used by medical professionals could use this work to strengthen their products. It points to the importance of mounting a response against a wide spectrum of venom. Holding’s collaborators on the California study were H. Lisle Gibbs, an Ohio State professor of evolution, ecology and organismal biology, and James Biardi of Fairfield University in Connecticut. The work was supported by the National Science Foundation, American Society of Naturalists, Herpetologists' League, American Museum of Natural History, American Society of Mammologists, California Bureau of Land Management, Sigma Xi, American Society of Ichthyologists and Herpetologists and the Chicago Herpetological Society.